Open every day for camping, Oakabella Homestead, Tea Rooms and Campground is rich in indigenous culture and features diverse landmarks. The complex includes a 13-room homestead, 2-story buttressed barn, blacksmith's shop, shearing shed, and stables. The place works as an ideal stopover as you journey along the coast of Western Australia. 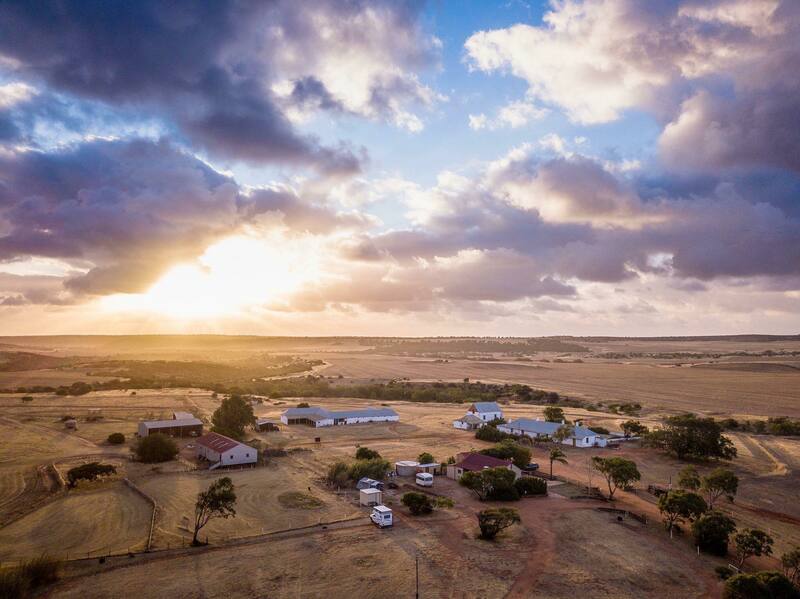 The centrally located homestead is placed for easy day trips to places like Kalbarri, Chapman Valley, or Pink Lake. Look at the website for more info and camping details. To visit Oakabella Homestead, Tea Rooms and Campground and get the most from your holiday in Northampton, create itinerary details personal to you using our Northampton day trip planning tool . Awesome place, so worth a visit. We stayed a night in one of the caravans which was pure luxury after, we had been in our small hire van for a month. Comfy bed, big kitchen area and T.V. We did a tour of the old homestead, so interesting and spooky. And to end our visit with tea and super yummy scone - absolute perfection! Just gutted we weren’t there when they had live bands on. Staff were so inviting and great to chat with! Staying overnight at Oakabella homestead in our camper. Belinda & Brian the managers are very welcoming and there is a very relaxed vib to the campsite. The shower & toilets are very clean and the views from our camper are gorgeous. The tour of the old homestead is definitely worth doing and you must try the delicious and well presented food in the tea rooms. So glad we choose to stay here, thanks Belinda & Brian. Beautiful location, Scones were delicious, staff chatty, ablutions clean. We stayed later the next morning to have breakfast at their cafe, (opened at 9) but when we went in at 9 were told they weren't serving breakfast as they were expecting a bus load of visitors from a cruise and were too busy, NOT HAPPY JAN!! we could have been nearly half way home if we had left at 7 as planned. Very friendly staff. 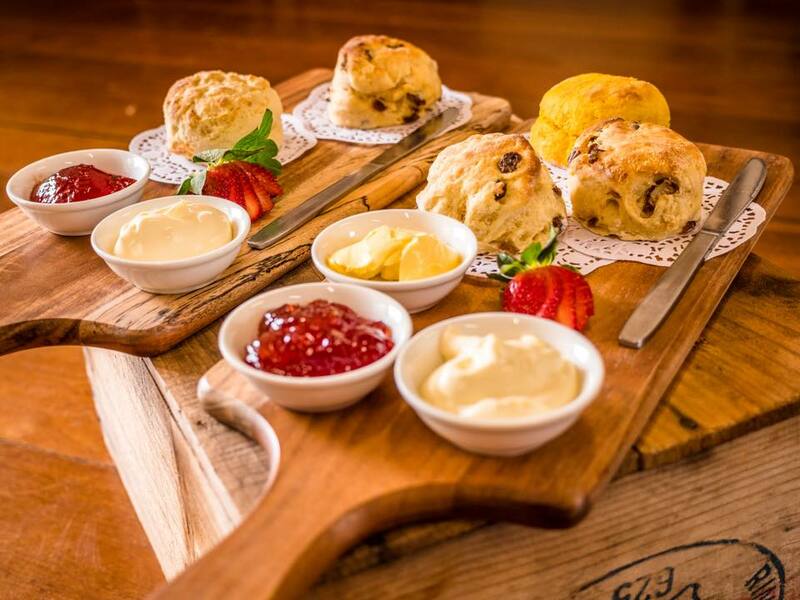 The best scones especially the Bush tucker ones. Unable to view homestead unfortunately, however looked in museum. Campsite is basic but adequate. Closed on Wednesday. Sorry we missed you on our drive. We stopped by and got to see a well kepted camping ground and what looked like a really nice outdoor cafe. Thanks for the toilet stop none the less. Every day, we help thousands of travelers plan great vacations. Here are some tips on how to use your Listing Page to attract more travelers to your business - Oakabella Homestead, Tea Rooms and Campground. 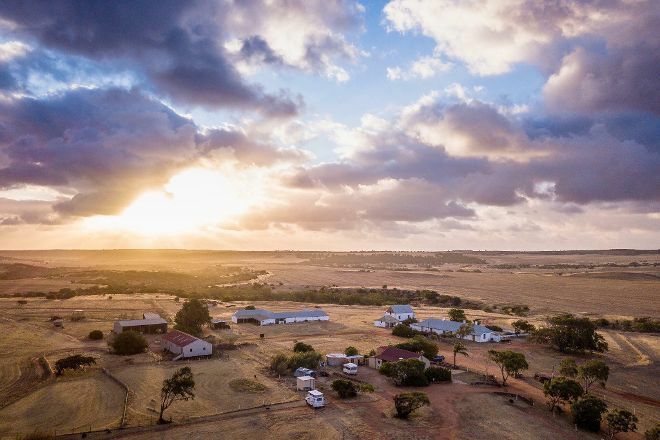 Promote your permanent link - https://www.inspirock.com/australia/northampton/oakabella-homestead-tea-rooms-and-campground-a193559953 - on your website, your blog, and social media. When a traveler builds a plan from this page, the itinerary automatically includes Oakabella Homestead, Tea Rooms and Campground. This is a great way for travelers looking for a great vacation in your city or country to also experience Oakabella Homestead, Tea Rooms and Campground. Promoting your link also lets your audience know that you are featured on a rapidly growing travel site. In addition, the more this page is used, the more we will promote Oakabella Homestead, Tea Rooms and Campground to other Inspirock users. For best results, use the customized Trip Planning Widget for Oakabella Homestead, Tea Rooms and Campground on your website. It has all the advantages mentioned above, plus users to your site can conveniently access it directly on your site. Visitors to your site will appreciate you offering them help with planning their vacation. Setting this up takes just a few minutes - Click here for instructions.